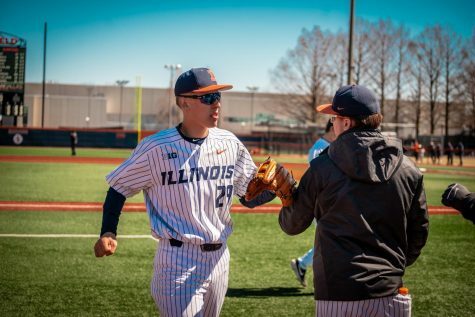 Illinois baseball jumped on Michigan’s starting pitcher for the second time in the weekend series Sunday afternoon in Ann Arbor. The Illini were up 6-0 against the No. 18 Wolverines after three frames and held off the home team for a 7-5 win to avoid the series sweep. 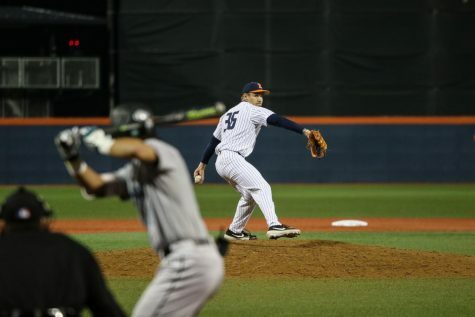 Illinois led 7-0 after three innings Friday night before losing 9-8. Sunday’s victory was Illinois’ first in Big Ten play after losing its first five conference games to Michigan State and Michigan. 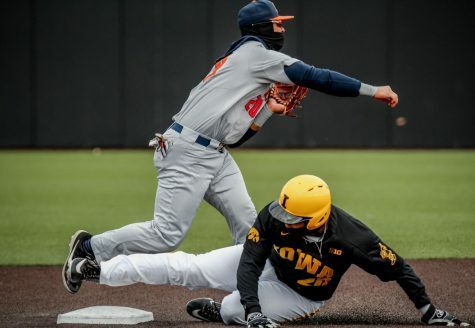 After being shut out and limited to one hit Saturday, Illinois plated six runs and had six hits on Michigan starter Michael Hendrickson in the first three innings. 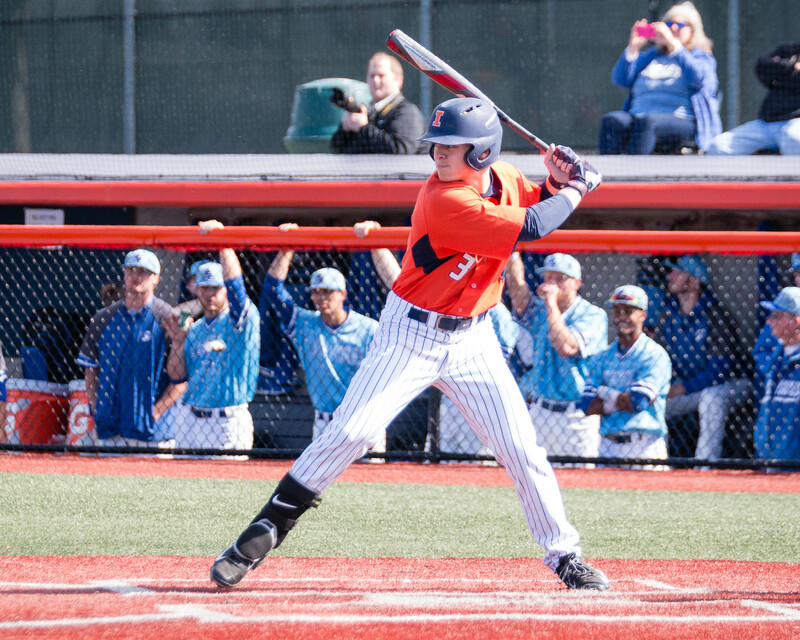 Third baseman Trent Hammond opened up the Illinois offense with a bunt single in the second inning. Hammond attempted a safety squeeze with runners on second and third, but Hendrickson made an errant throw to first, allowing Hammond to advance to second and two runs to score. 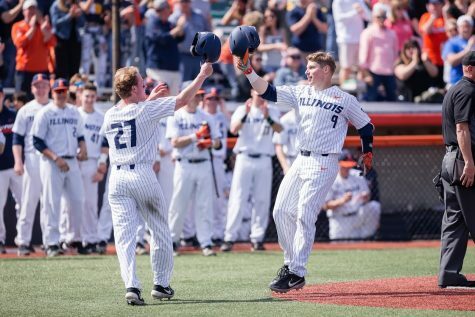 Left fielder Dan Rowbottom hit a three-run homer just over the outstretched glove of Michigan right fielder Jonathan Engelmann in the third inning to extend Illinois’ lead to 6-0. 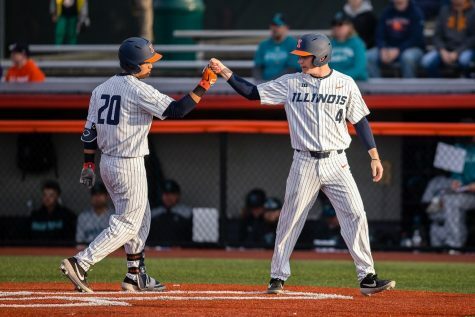 Rowbottom’s .155 average is the lowest of any Illinois starter this season, and the home run was his second of the season. Hartleb said seeing Rowbottom provide some pop in the bottom of the lineup is vital for the team going forward. 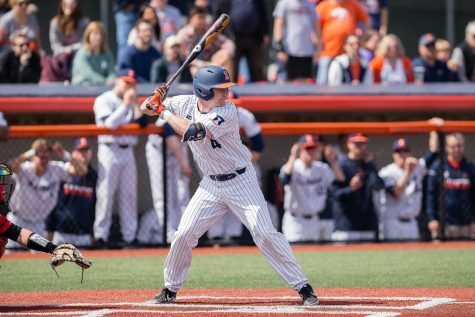 While Rowbottom had the big hit, second baseman Michael Massey and first baseman Pat McInerney paced Illinois’ offense each with three hits, including a Massey seventh inning RBI double to put the game away. Massey’s performance Sunday ended a big week for the freshman. He had two home runs and four RBIs last Tuesday against Missouri. Hartleb gave freshman Cyrillo Watson his first career Big Ten start in the matinee. Watson retired the first six Wolverines on 16 pitches but found himself in trouble in the third inning. Michigan put pressure on Watson in that frame after a leadoff walk and an Engelmann double to break up the no-hitter. 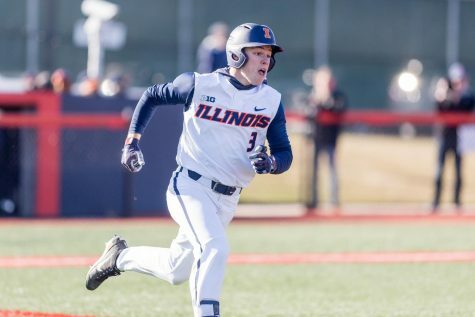 Watson hit the next batter before center fielder Johnny Slater jumped on a first-pitch fastball and knocked it between the right side to drive in two runs and cut the Illini lead to 6-2. A two-out double drove in two more runs. Ryan Thompson relieved Watson after four innings. Watson allowed two hits to open the frame, and Thompson worked out of it, allowing only one run. Thompson finished the weekend with 4 2/3 innings pitched. The freshman pitched 3 1/3 scoreless innings Sunday. 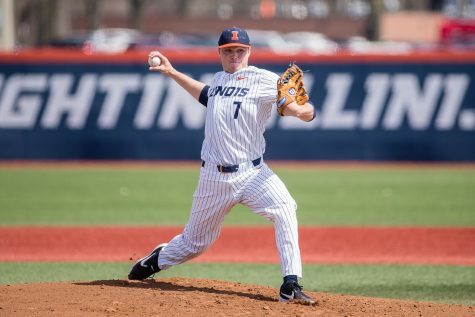 Illinois committed at least one error in each of the series’ first two games but did not commit one Sunday. 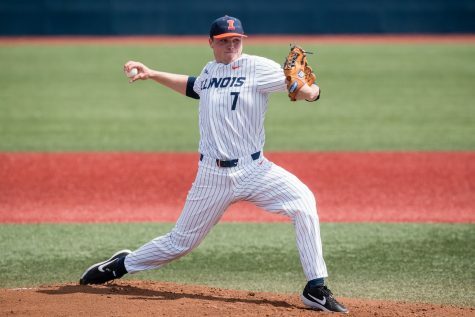 Massey and shortstop Ben Troike turned two double plays and the Illini had zero flubs. The Illini sit at 11-18 (1-5 Big Ten) and conclude their five-game road trip Tuesday night at Illinois State. 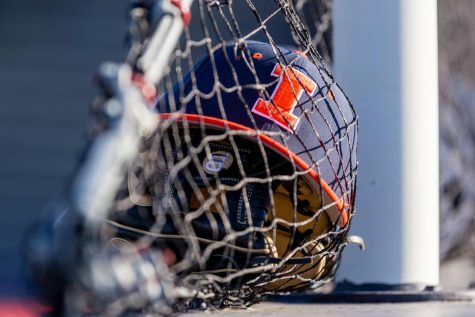 Illinois returns for a weekend home series against in-state rival Northwestern beginning Friday.